Decorate your bathroom in style with the beach Colonial Fun in the Sun Rug - 3 x 4. 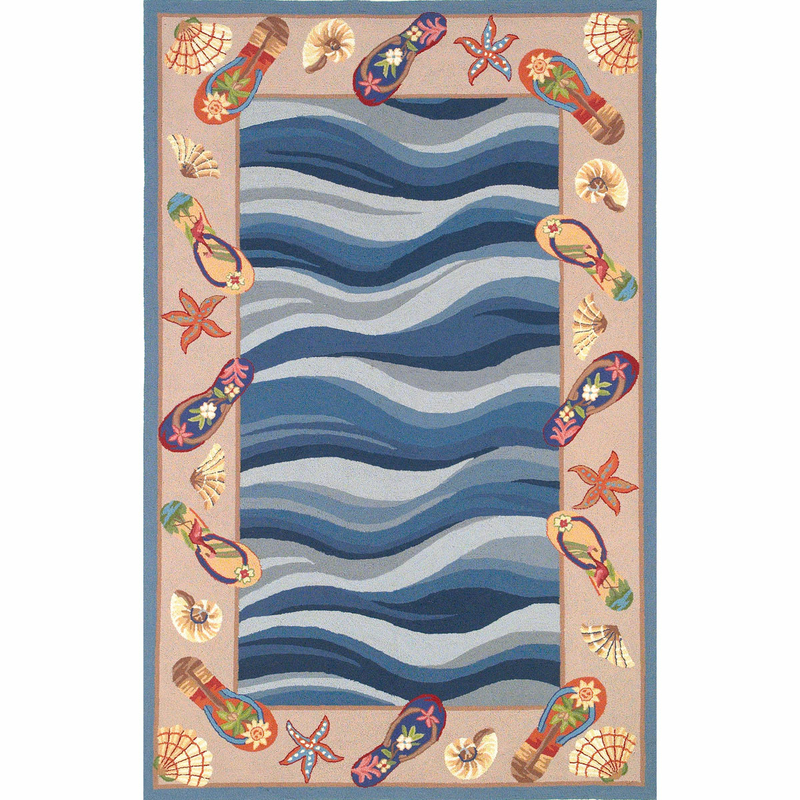 This nautical area rug is embellished with shells and colorful flip flops surrounding a wavy blue center. For even more items, we ask you to take the occasion to review our full selection of coastal area rugs at Bella Coastal Decor today.